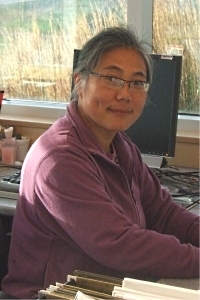 June Wang, the Control System Designer at the Wind Energy Institute of Canada, has over 20 years experience in her field. She is responsible for working with PLCs, test equipment, HMIs, SCADA, designing panels, software testing and instrumentation and troubleshooting for turbine control systems. June has designed/configured Wind Diesel Integrated Control Systems worldwide; designed control systems for wind turbines and designed instrumentation and data logger systems for wind turbine testing.